#SendMeToSchool values the importance of playing in educational and personal development. This post is contributed by Desta Seyoum, Roots Ethiopia Board Member, and local expert. When I was a child, the school days were longer than they are now in Southern Ethiopia. I used to play sports and I was also free to play after school, on weekends, and all summer long with friends. A school was the place to thrive, not just because I was receiving an education, but because I had the freedom to play, and a sense of acceptance from my peers. Most of the physical, social, moral, and emotional problems I have had in life required the judgment and creative ability that come with a life experience embedded in play. These days, however, many schools in Ethiopia lack material resources to afford all children the opportunity to play and learn together. Schools are struggling to use sport and play activities as a means to engage children in learning and knowledge critical for their development. School days are also much shorter. In addition to that, the need for child labor is increasing, and families are forced to take away children’s freedom to play. Children who do not attend school have little opportunity to play sports or pursue their passions and develop life skills. They spend much of their time in focused on basic economic activities aimed at supporting their poor families. For Ethiopian children, going to school means an opportunity to play sports, and more time to just be a kid and enjoy life. It allows them to follow their drive to play and grow physically strong. This creates mentally, socially and emotionally resilient young people. Watch these children play in Ethiopia! Roots Ethiopia in 60 seconds: Play! from Roots Ethiopia on Vimeo. 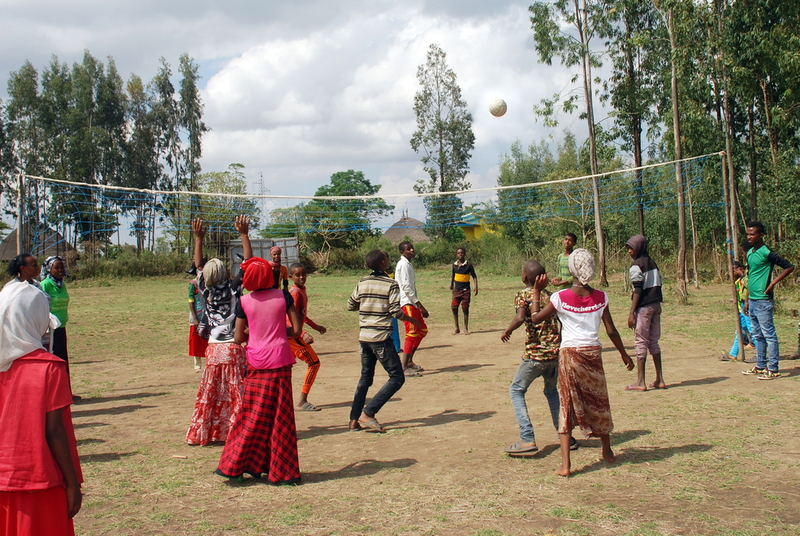 Give students in Ethiopia the chance to play all day by signing up for a recurring donation of $21/month or more! Allow their minds to grow so they have opportunities similar to me! Desta lives in London, the United Kingdom where he works as a Network Engineer in educational establishments. He feels committed to supporting the various development efforts aimed at improving the livelihoods of disadvantaged communities in Ethiopia. Working with Roots Ethiopia is a way for him to giving back to his community and provide a sense of hope for people in need. Desta was born and raised in the areas where Roots Ethiopia works. Desta holds a masters degree in Computer and Information Science from London Metropolitan University, among others. In his spare time, he enjoys photography and graphic design. Previous Previous post: Growing Minds is Back to Benefit Ethiopian Education!